Follow along as we capture the details of the Ontario Ski Team camps, on and off-snow. Each technical update is designed to help coaches of all levels see what Ontario’s best are working on and how the basics of strong skiing creates a platform for growth. Coaches are encourage to reach out to OST Head Coach & Program Director Kip Harrington should you have any questions. 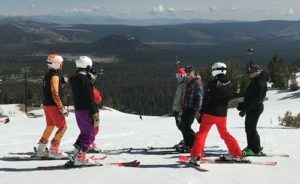 Update #1: Mammoth Mountain Camp, May 19-29th.